We love what we do. 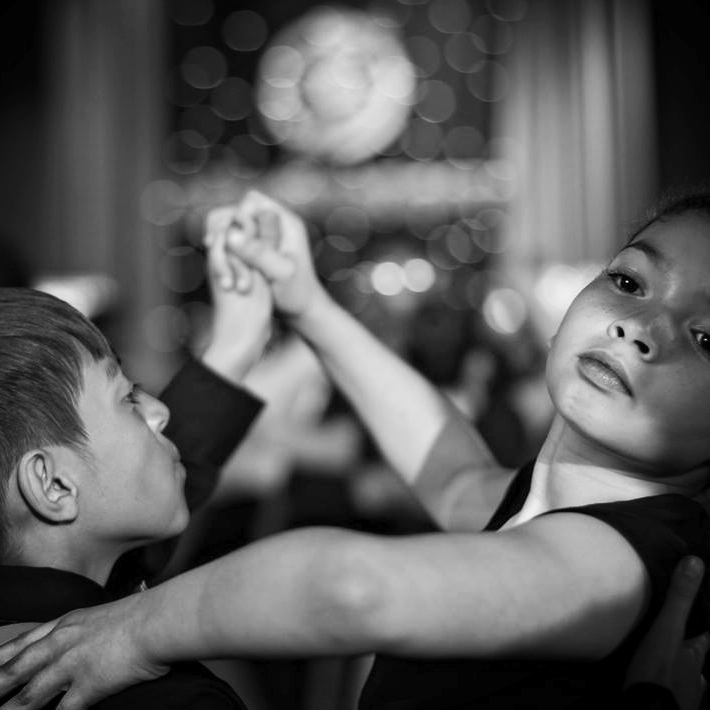 We get hundreds of New Orleans area schoolchildren ballroom and partner dancing each year -- with differing economic backgrounds, catering from elementary to high, and to all areas of the city. And we just keep growing! Schools love us. To enroll YOUR school in this year's program, please contact us by October 1st. And, of course, please feel free to ask us any questions you may have. We train up to two adult, formal representatives of your New Orleans area school in five partner dances: salsa, merengue, swing, waltz, and tango. We then help them to teach their students to do the same. As icing on the cake, the program culminates in the MindSteppers Dance Championship held annually in May - one of the most exciting and adorable dance events to behold, and FREE to all schools in the program. But it wasn't alway so easy for us! Hiring professional, specialized dance instructors costs schools a LOT of money, especially over time. Frustratingly, non-affluent schools often missed out. And logistically, we weren't reaching as many students as, say...a full time gym teacher could reach...! Which is precisely how we came up with a NEW program, one that trains those already teaching. Now, instead of one teacher affecting thirty students, one teacher can affect the WHOLE SCHOOL and for as many years as they wish! Our program costs FAR less than having an outside teacher come for one single year. All meetings and lessons are at Dance Quarter dance studio, 1719 Toledano Street, New Orleans, LA 70115. Overall, roughly 20 hours are needed to cover ALL dances in the program. Typically, teachers either meet once a week with their students over the course of 20 weeks, or they meet up twice a week, over the course of 10. But this is simply a guideline; we have plenty of schools implementing the course intensively at once or sporadically. Instruction happens where it best suits: In Arts or Music classes, after school, or during P.E. (the program meets National and State Physical Education standards). One OR two staff members (the cost of the program covers up to two representatives from a school) interested in learning and teaching partner dancing and implementing the program in your school. It can be a PE coach, a teacher, a teacher's aide, or even a parent. A large room with no furniture and preferably no carpet. Schools tend to use cafeterias, gyms, and empty classrooms. Any device that can play music. In addition to dance training, teachers are shown the etiquette commonly associated with social and/or performance partner dancing as well as given geographical, cultural, and historical backgrounds of each dance. Video notes from the training, accessible on the internet for unlimited review, Music recommendations, Helpful classroom visits, and Lesson support tools (i.e. posters, classroom guide sheets). So many of you from further afield have asked us for our program in your town, so we are soon bringing it to you in video form. ...simply by learning how to dance with a partner! 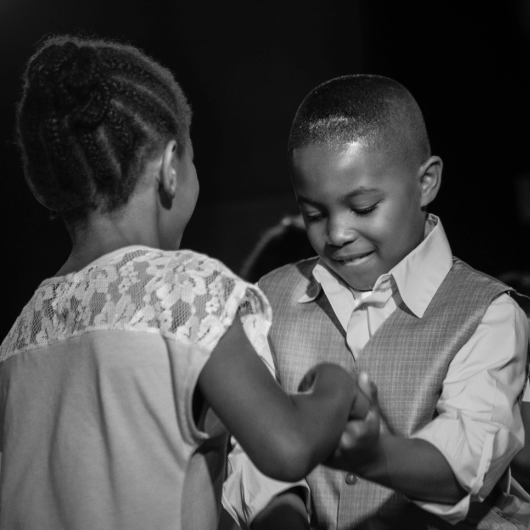 Studies and research show that partner dance is amazing for young people's social and emotional development, physical health, and mental longevity. But above all, it's just fun. Unlike other dance programs, ours keeps costs low. Because we train school teachers, there are no outside dance teachers to pay. Once your school has a trained teacher, your school can keep on implementing the program. This means there are no limits on how many students participate, and you fit it to work with YOUR school's schedule. Our program positively affects children, families and community alike. Students, teachers, and schools love us. And as each new school enrolls, we get the satisfaction of watching the students reap the multitude of amazing social, physical, and emotional rewards inherent in partner dancing.